Off we go to the West Austrian derby together! 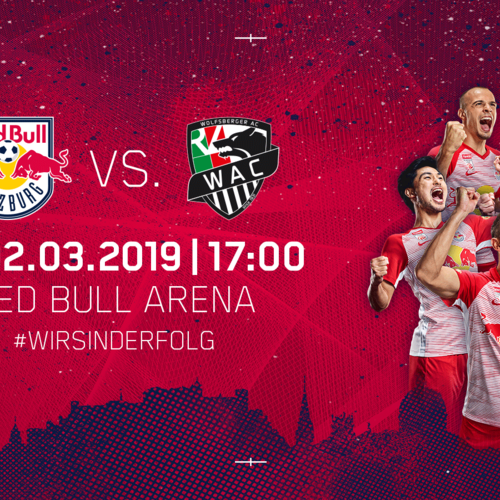 our boys may still be in the midst of their winter break preparation period, but the all-important second half of the season is rapidly approaching - including the eagerly-awaited west austrian derby in Innsbruck. Fans who don't want to miss out on this high-profile clash – and probably the only West Austrian derby this season in Innsbruck – can take advantage of our very special fan journey offering with our chartered train. On 17 March 2019, almost four-and-a-half years after our last appearance at Tivoli, Andreas Ulmer & Co are returning to Innsbruck in the 22nd and final match before the Tipico Bundesliga splits in two – and you can be there to see it! The travel times for both parts of the journey could still be subject to minor changes! Strictly no smoking during the entire journey! Please take your own food and drink, as there is no catering carriage! Admission to the train is only permitted with a receipt! Please park your cars at the P2 car park, which is located on the NORTH side of Red Bull Arena. There is a free choice of seats in the FC Red Bull Salzburg fan sector. 550 people – when this is reached, additional buses are to be organised.